But with more than half of forklift accidents seriously injuring workers on foot, it’s clear that more can be done to give pedestrians more warning when a truck is getting too close. When a workplace is busy or noisy, you can’t always rely on auditory cues to know where trucks are operating. If there are a number driving around, or a number of vehicles or pieces of machinery operating in the area, then a truck just around the corner may become difficult to pick out. It’s this line of thinking that lead to the development of the Mitsubishi Safety Zone system. Simply put: this safety alert system uses high-powered LEDs to cast bright, bold red lines on the floor behind and to the sides of a truck. These clearly show to all working in the area of the truck, the minimum distance they must maintain to continue working safely, and when a site is busy this extra visual clue can make all the difference. Available for use with new trucks, as well as older models, it takes little explanation for your workforce to grasp: making it a practical option for your existing fleet. 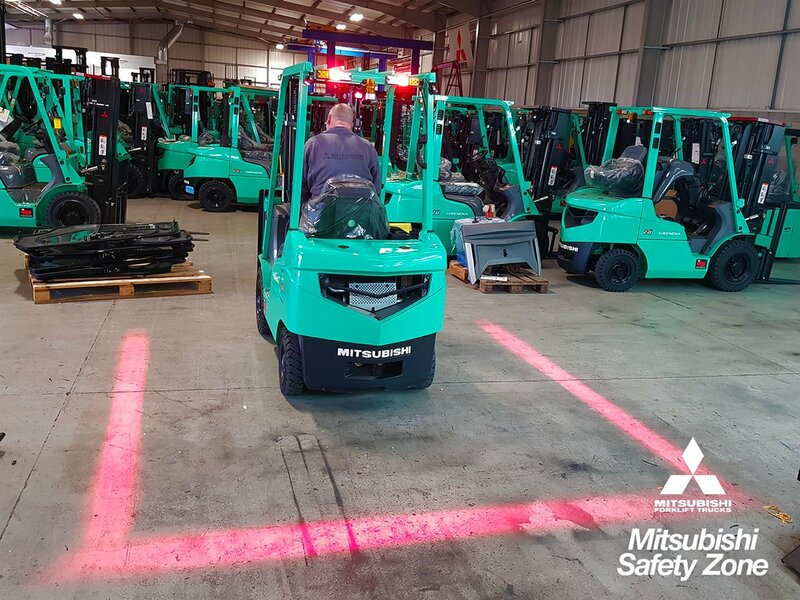 Call the Endeavour team on 01709 242505 to find out more about the Mitsubishi Safety Zone system and how it can work for you.